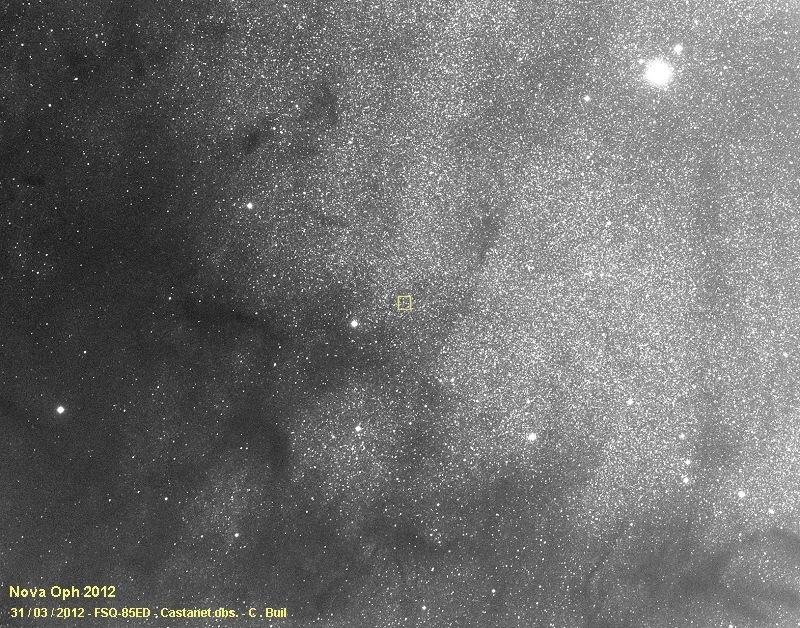 the 31.12 / 03 / 2012 (8 x 180 s exposure - Lumicon Deep Sky filter). 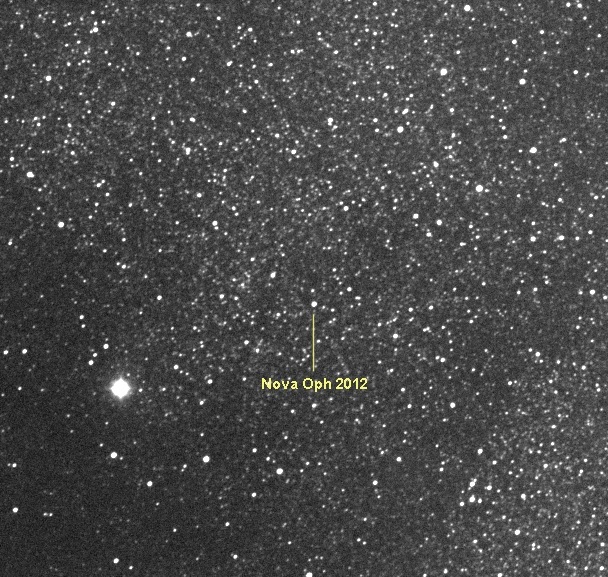 Detail of the image centered on the nova position. 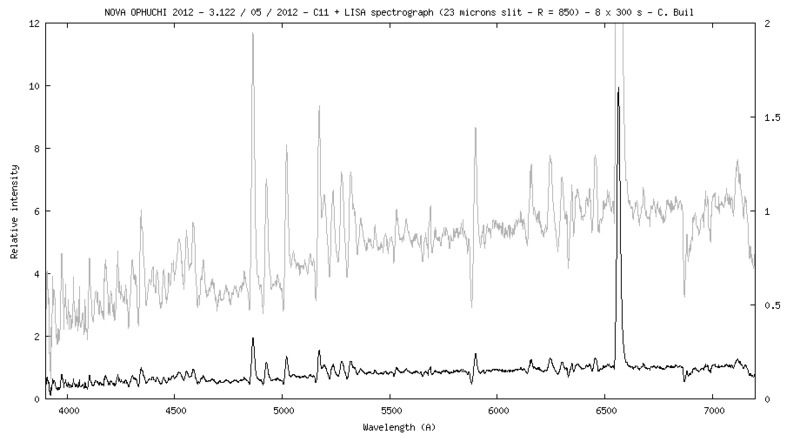 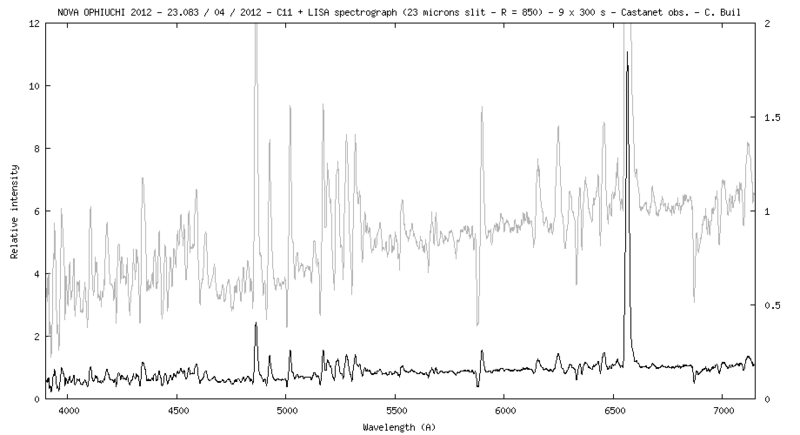 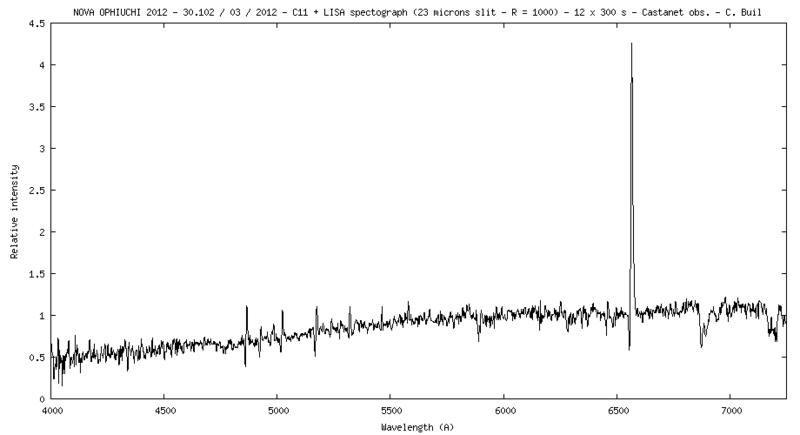 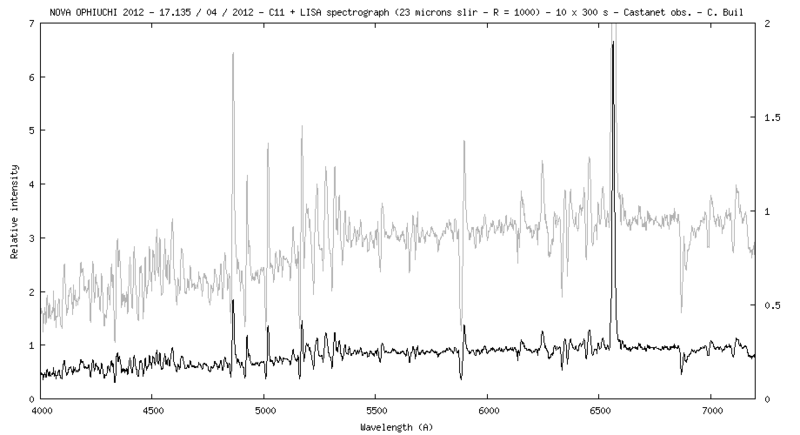 Note: Atmospheric extinction and instrumental response are evaluated from observation of nearest star HD157864.